I love to bake. Especially when it involves chocolate. I also like to spend too much time on Pinterest. Which works out because it helps me find all sorts of recipes involving chocolate to try! Recently, I came across the recipe for La Bête Noire (meaning “the black beast” in French) which is a flour-less chocolate cake. I love flour-less chocolate cakes, so I was definitely trying it. This one is just fabulous. It’s incredibly rich and due to lack of flour quite dense. You really can only eat a tiny slice. The fresh sweetened whipped cream was a really fantastic touch. 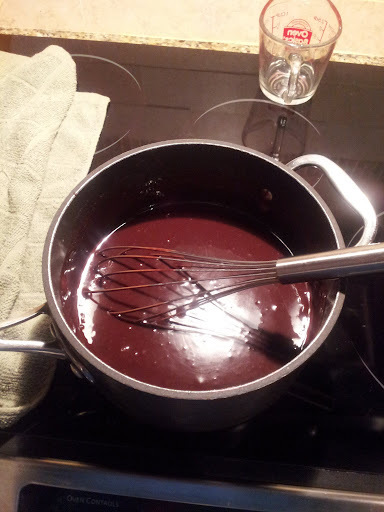 As always, when working with chocolate, whisk/mix it until it is very well blended, then mix some more. 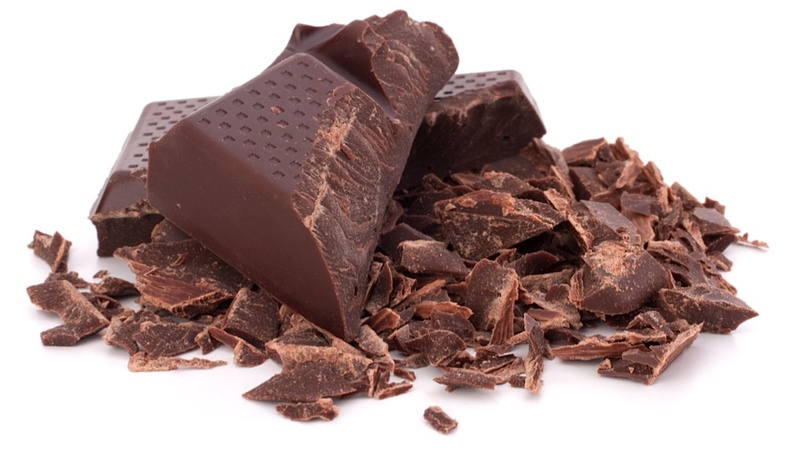 You always want to strive for *shiny* chocolate. If it’s shiny, you’re doing it right! The recipe *is* a bit involved. 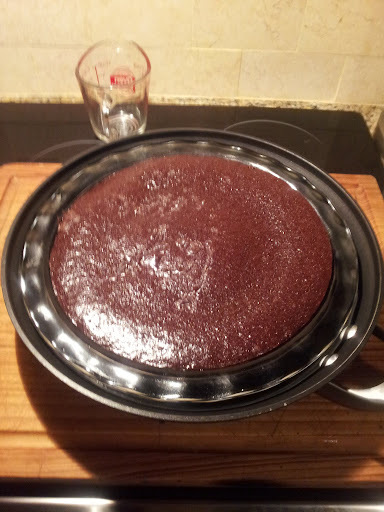 You always need to be careful when working with chocolate so it doesn’t scorch, and having to bake this in a hot water bath was tough if only because it was hard to find a pan to put my cake pan in. (I ended up using a large skillet instead of a roasting pan). Luckily, my mom makes the best flan of anyone in the history of ever (true story) and thus I have learned the trick of how to tell by feel when a cake made via hot water bath is done. Notice how the cake itself is rather shiny! This is before adding the ganache layer on top to finish it off. All in all, this is one of my new favorite recipes. I’ve taken it to a couple gatherings over the holidays and it was always a huge it. If you really need to wow someone with your culinary skills, I highly recommend this recipe! This entry was posted in Be Happy and tagged Chocolate, Pinterest, Pinterest test, Recipe, review. Bookmark the permalink.